We are going to launch online payments! Oh dear. Hello all and apologies it’s taken a little while to get to the third instalment of the series about “pet peeve statements”. For those who are new, I am talking about those bold, declaratory statements that puff up the chest and make people feel awfully progressive and far sighted – and as I have said before, all sound and fury, signifying stormy waters ahead! Previously, I have talked a little about two bold statements that now represent blasts from the past – namely, the decision to “do a blog” back from the days of D-Ream and Tony Blair, and “doing social” from the early 2000s. What’s the next statement? Well, it’s probably the one that has the most direct financial risk attached to it – getting this wrong, and going in without the right thinking and controls in place, can be disastrous. Imagine the scene – the board of directors are all sitting around a table, and a sales director, or managing director, stands at the front with his Dell or HP open and whirring and a PowerPoint flickering on the projector. The director opens his mouth, claps his hands, and says… ready… ? We are going to launch online payments – we are doing e-commerce! That really says it all, as a heading. To be fair, there is always the chance that this statement has been made with careful forethought, and that all the moving parts have been considered – that your organisation, whether a small disruptive tech player or a large established service provider looking to grow, has thought about the implications. What I have seen all too often, both in financial services technology and in other sectors – and I am pretty sure others will have too – is that, much like other “look, cool, shiny new thing” projects, this can often be something that is launched and done for the wrong reasons – the bottom line being, they’re internally focused. Why? I know this is a little bit of a theme if you’ve read previous articles (and if you haven’t, off you go… and open them in a new tab so you can come right back here!). 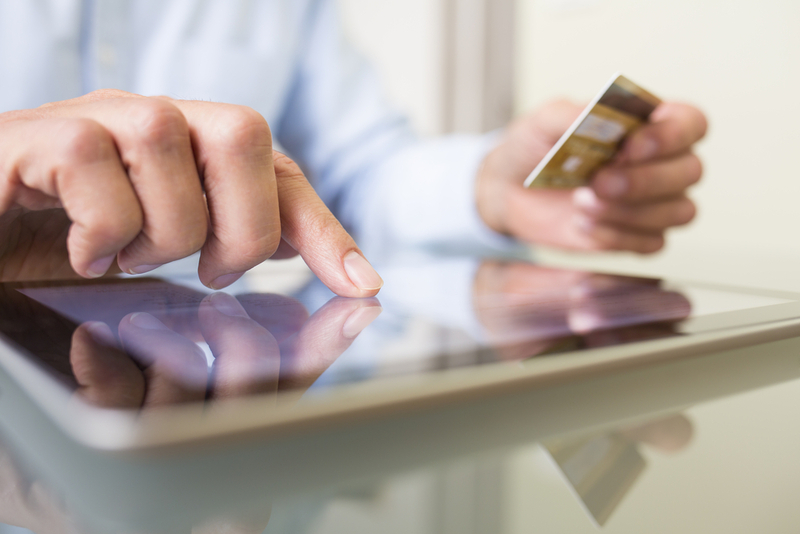 But do you really have a strong understanding of why you are launching into online payments? Have your customers expressed the need for it? Have your competition started offering it? Often, the reason given for going to online payments is “it’s cheaper” or some variation of the need to cut or control costs for sales fulfilment. That’s fine, as far as it goes. But if the answers to the questions above aren’t the right ones, then launching online payments won’t save you money – it will either be an additional cost if your existing customers don’t use it, and it simply sits there. Or, should you decide to take a huge plunge and replace your existing process with online payments… that’s playing with matches, over a petroleum spill, next to liquid nitrogen tanks. Naked. For what? For this, you need to consider what you are actually looking to sell online. What kind of products or services are you selling online? Are there some products you want to keep from online transactions – to retain your ability to manage price and volume? It’s often the case that some products beyond a certain price point are kept separate from online payments – which can make sense. To whom? In this area, it’s important to know who your buyer is. That might seem pretty fundamental – but it’s worth considering. If you are trying to push individuals to pay online, make sure that they’re the right people, and that they’re comfortable with doing it! Protection. Now, before your mind goes down some salacious or other, that’s not what I mean! What this refers to is the control of both the cost of your product or service, and information being published…and the protection of your higher level pipeline. Cost control – there is often a perception that ecommerce means that the product or service is suddenly going to be cheaper; sales teams can often fear payments being conducted online for that reason. Ultimately, that’s more of a fear response than anything – payments conducted through ecommerce can be entirely controlled, so the price is probably more strictly regulatable in this channel than elsewhere. Public information – it’s something to consider for some organisations. To launch online payments successfully, the price has to be publicly available; which means competitors will know how much your products are. If you take a moment to think about it from your own online purchase behaviour, would you hand over your credit card details for a product online without knowing how much it costs? Protect your pipeline – with this, you really take a step back from considering online payments in isolation, and think about your pricing and product strategy. The issue only really occurs when you aren’t adding enough value for higher cost products, and customers’ needs are being met by lower value solutions they can buy online. So take a moment, as part of your process, to look at how you differentiate your offering at different prices – and ask yourself whether it’s really worth the extra money to customers! This is a series of posts on a subject that plays on my mind a little – the application of disruption, and innovation, when it is related through the filter of our use of language, and our desire to seem advanced. This instalment is about social media efforts. Welcome back to these pages – and the almost final installation of a series that was started some months ago, talking about some of the grand sweeping statements that we hear, and make. This is a series of posts on a subject that plays on my mind a little – the application of disruption, and innovation, when it is related through the filter of our use of language, and our desire to seem advanced.